I like long walks on the Canadian Tundra to the tune of Bare Naked Ladies, French fries drowning in gravy, and long weekends spent curling and decimating pallets of Canadian Molson... Bwahahaha! Of course, all joking aside, it’s time to sit backwards in folding chairs for some real talk. Today’s sharing time is about my approach to interacting with social media to develop networks with fellow content creators and how I’ve managed to keep my sanity through it all. Beware of the Loxodon in the room. This has become the scourge of our online Magic community. It is the constant tug of war over ideals and politics. The clashing of personalities. Labeling of “others” as simply awful things. It is the nature of the technology which separates us from the basic common human bonds we have with the people we are arguing with. There is a massive amount to unpack when it comes to drama and conflict in our Magic the Gathering community and I’m not planning to do it here. I bring it up because a vast amount of my engagement with the MTG community online is heavily influenced by the conflicts we are faced with. So rather than call anyone out or cite a specific issue, I want to share some of my practices for managing my own reactions to online drama and conflict. Now, these tools for engaging with people online are not going to translate for everyone out there. There is much that I cannot relate to, nor am I trying to pretend that I can. I’m simply sharing my practices in the hope that they will be helpful for anyone that chooses to apply them. This is a philosophy I’ve borrowed from a basic premise of Buddhism. It is the idea that one’s own happiness can not be achieved if the focal point by which we validate our happiness and sense of self worth is centered on someone or something that is external to ourselves. The phrase “easier said than done” aptly applies here, though it is a philosophy well worth the effort. I bring this up because Magic players routinely externalize their own focal points of control when it comes to.. well, just about anything. Just watch social media any time there's a change to the banned and restricted list. It's fascinating to see what some people will lose their minds over. When it comes to online and personal interactions, we see the same thing happening where one person determines how they feel based on whether another person does or doesn't do or say a certain thing. The seemingly never-ending distain for Tron players comes to mind. So many players hanging so many hopes and dreams on Karn not being played on turn 3. It’s a living meme really. Yet I hear stories of players at events switching from cordial and polite to stone-faced “go die in a fire” mode the second they see an Urza land. Now, is it a problem to have some level of internal disgust for a style of Magic deck or player? Not necessarily. I personally can’t stand UB durdle decks with zero-win conditions beyond breaking an opponent’s will to live. However, my day isn’t ruined if I play against such a deck. I make a conscious effort to center that focal point on myself and not let my enjoyment of the game be dictated by a matchup that I dislike. This isn’t an easy practice of course. We are all human, after all, and this endeavor becomes more challenging as larger conflicts arise. However, if one begins this practice on small annoyances like white bordered lands or mismatched Blood Moons, it helps prevent some minor conflicts from escalating into full-blown social media flame wars. This ultimately comes down to the fact that we truly only ever have control over ourselves. Hitching our happiness trailer to the idea that others will stay within the boundaries of our preferred ideals and actions is both problematic and unsustainable. Of course, white bordered lands and poor life choices in MTG archetypes aren’t the only problems we are going to face, as interaction within the Magic community itself involves some truly heavy stuff. Downright offensive, misguided thoughts and actions are unavoidable. While I couldn't possibly have all the answers for the most intense problems, there is a practice I try using to control the framework for my own response to these conflicts. I try asking myself “what has gone sideways in this person’s life?” I ask, not to make excuses for offensive or morally bankrupt actions, but to separate the person from those actions. I have a difficult time believing someone is born with misguided views about another person or ideology. I think these are often learned behaviors, taught through upbringing and exacerbated by family, friends, and in some cases, prominent internet personalities. This practice helps me find empathy for someone I’m in conflict with. So even if I still find their actions to offensive, I’ve got a better shot at de-escalating conflict on my end. I may still share a rebuttal, but it’s easier to do in a way that doesn’t feel like an attack. Even then I may come to the conclusion that the best thing to do is simply walk away. This approach may not work every time but it works enough for me to be worth considering. When I use the term "medium" in this context, I’m referring to methods of communication. Face to face conversation, video chat, phone calls, digital based text, snail mail, courier pidgeon, and even smoke signals are all mediums of communication, and it's important to recognize the limitations of those mediums. The further you get from a face to face conversation, the more difficult it becomes to transmit the meaning of what you are saying, a problem best exemplified when dealing with Twitter. 280 characters plainly does not afford the level of nuance that heavy, important topics demand. Moreover, it is equally important to recognize that the meaning you intend is never guaranteed to be the meaning perceived. Far too often I see people failing to account for how something could be perceived before they click send. I'm not saying you should never interact outside of face to face conversations, but just take a moment to consider how something may be perceived before sending. Buy your ticket and know what you’re getting into. That’s all. If I choose to discuss something controversial I try to save it for a video format. This is where I have access to tools like facial expression, body language, verbal tone, and inflection. These all bring meaning to a message and help reduce the chance of misinterpretation. 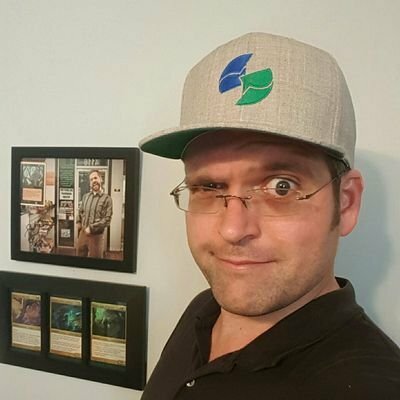 I get the feeling many who start making MTG content look to Tolarian Community College, Loading Ready Run, and The Command Zone as their barometer for success. I personally think this is problematic since the environmental factors that lead to their success are wildly different from the world today. That difference means that 99.9% of us will traverse a different path than most of the major MTG content creators, and those of us with aspirations of earing a living from 200,000 Youtube Patreon supporters will follow a timetable that is much longer than modern day MTG celebs. There are, however, things you can do to hedge your bets. Polishing your delivery and being a good entertainer accelerate your growth, while creating truly unique content will help you stand out. Coach from The Card Bazaar has carved out his own niche by researching underused search criteria and tailoring his content to match, which led to his popular Top 100 series. There is this misconception that if you aren’t positing your newest MTG content consistently 24/7 you are failing as a content creator. While I don't believe this to be true, it is important to recognize that there are many factors working against you. Many of us smaller content creators are juggling our content with married life, kids, work, bills, car repairs, bills, playing Magic, and more bills. Life and its good friend Murphy are always cackling in the corner, if you will. While managing both real life with content creation, it’s crucial to cut yourself some slack. Lord knows I’ve taken breaks form playing the content game, has have the other Hooligans. Jon stepped away from The Hive Mind to move from the desert to water world, Magic with Zuby took a pause last year to regroup from some burn out, and Coach from The Card Bazaar slows down when coaching season schedules kick into high gear. Yet here we are. Don’t fear the breaks in your content creation schedule. If it is something you love to do, you will come back to it. Numbers are nice, people are better. When I first started using Twitter for the purposes of perpetuating my MTG nerdiness, I did what anyone would do: I followed every single big name in Magic that interested me, and before I knew it, I was following nearly 200 MTG celebs. In contrast, there were hardly any people following me. The interactions were pretty one-sided in the beginning and it often felt like I was talking to myself. Eventually I found myself dropping most of the big names I followed initially, and gravitating towards community members who were willing to interact with me. My overall online friendships improved as a result, and I discovered a whole world of fellow small content creators looking for meaningful connections with their peers. Rather than talking into a void, I was cultivating an overall higher quality of interaction with a smaller number of people. This practice was integral to getting me where I am today with Tin Street Hooligans. Tom50 makes a case for waiting longer than conventional wisdom dictates to start buying post-rotation Standard cards.